Nov. 9	Josh Pratt. Singer-songwriter Josh Pratt returns to Homegrown Music after an absence of almost three years with a new set of original music. Known for his sometimes poignant songs set in Northeastern Pennsylvania, this solo acoustic set ranges a little wider geographically, but is no less enjoyable. Nov. 16	A Homegrown Music Request Segment plus a guest appearance by STOLEN OGRE. A couple of times each year, HGM producer George Graham opens the program up for listener requests for music from the series' remarkable archive of 1500 or more segments by regional artists over the program's more than quarter century on the air. Listeners may phone 570-655-2808, preferably a day in advance to place requests for Homegrown Music favorites in this 90-minute special. Stolen Ogre in WVIA's "Warehouse Studio"
Nov. 22	A Live Homegrown Music Concert with THE ROAMIN' GABRIELS and CARLA ULBRICH. WVIA's series of exclusive live two-hour concert-broadcasts continues with a great funky fusion group and a comedic singer-songwriter. The Roamin' Gabriels is a Poconos/Lehigh Valley jazz-rock fusion group headed by keyboard man and composer Len Mooney. 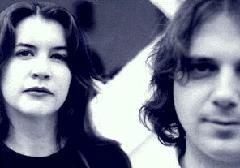 Their 2003 CD Smile has been featured extensively on Mixed Bag, and spotlights the group's organ-based sound. They make their Homegrown Music debut in what promises to be a great, rhythmically infectious set. Speaking of infectious... Carla Ulbrich is one of the funniest singer-songwriters Homegrown Music has presented. 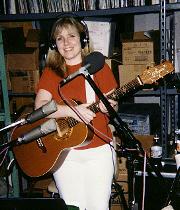 In her three previous studio sessions, she has made light of all manner of topics. After suffering a series of rather serious and extended medical problems, she looked to her irrepressible sense of humor to get through the difficult times. The result was a whole series of hilarious songs about health woes. First, in a Homegrown Music segment and more recently on a CD called Sick Humor, Ms. Ulbrich sings about everything from sitting in a doctor's waiting room to sudden weight loss. Her first live Homegrown Music concert appearance is sure to keep everyone in "stitches." Nov. 23	Jones. 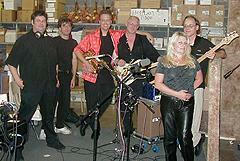 One of the most memorable jazz-rock fusion vocal bands the series presented was Fourth House. Unfortunately, the band dissolved, but vocalist Megan Johnson and bassist-composer Kyle Esposito formed Jones, a mostly acoustic group that retains Fourth House's sophisticated composition style in a surprisingly folky setting. This encore from 2002 reprises Jones' fine session. Nov. 24	A Homegrown Jazz Special with the JIM WALTICH TRIO. Pianist Waltich has previously appeared on the series as a "side man" with several jazz groups, including Doug Smith's Dixieland All-Stars. This is his debut as a leader, joined in a trio by bassist Joe Michaels and drummer Eli Hludzik. They perform a pleasing collection of creative arrangements of jazz standards. Note: Start time 7:00 PM, during WVIA's All That Jazz. Nov. 30	Ed Trusky. Mahanoy City, PA, bluesman Ed Trusky is a long-time guest on Homegrown Music series going back to the 1980s. His Cruel-4-Days Blues Band was much praised for their mix of original music with standards. 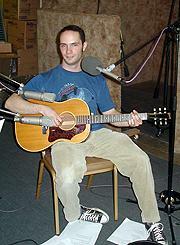 This 2001 encore features Trusky in a memorable solo acoustic setting mostly on resophonic guitar.